Dr Daljeet Bansal completed her PhD in Tissue injury and repair at the University of Manchester in 2008. 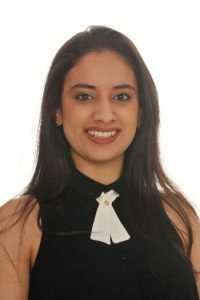 Following completion of her PhD, Dr Bansal worked as a postdoctoral research fellow in Spinal cord research at the University of Birmingham. Dr Bansal has worked at University Hospitals Birmingham NHS Foundation Trust since November 2011, supporting research grants across all clinical specialties. Dr Bansal led on the successful submission of the Trauma Management Healthcare Technology Co-Operative bid to the NIHR, becoming the project manager and facilitating medical devices research in 2013 until 2017. Dr Bansal continues to support medical devices research and is the programme manager of the NIHR Trauma Management MedTech Co-operative, overseeing its day-to-day running, leading on business engagement and innovation of medical devices. Dr Bansal is a senior member of the Research, Development and Innovation department. – Supporting businesses, working with clinicians, academics, patients, carers, charities and healthcare professionals to identify the unmet clinical need and develop medical device and healthcare technology solutions. – Providing access to clinical experts, regulatory advice, testing facilities and research grant support.